Boy, what a busy week I have had! 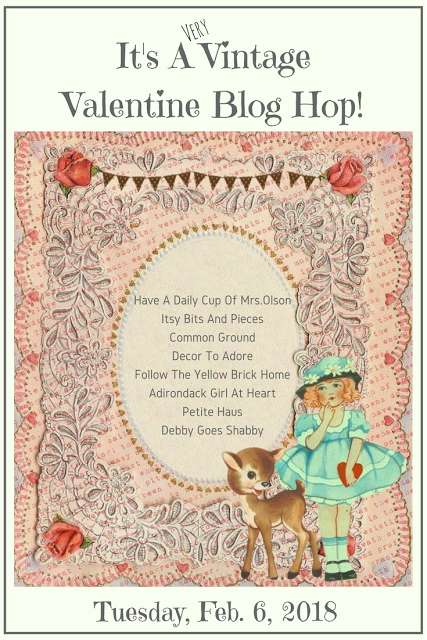 Vintage Valentine Blog Hop and link party. 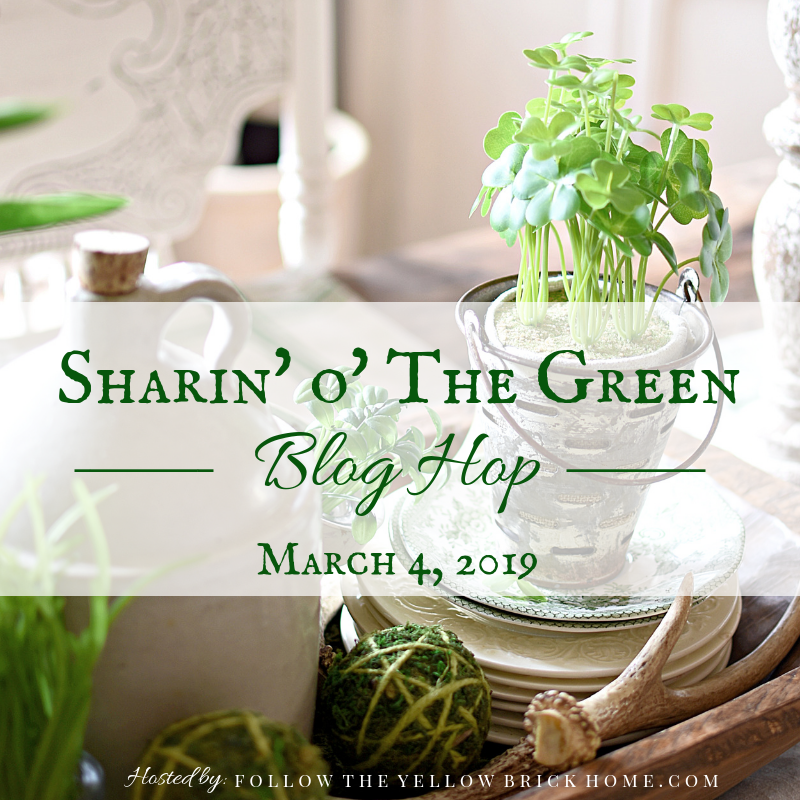 The party will remain open until Valentines Day, so please hop over HERE and link up your Valentine posts! I also shared a funny photo as well as my Pyrex Collection. Each week there are posts I would like to feature, but do not see a link back or link party page listing SYC. Debby Goes Shabby shared the fabulous flower cake she made in honor of her 5 year blog anniversary. 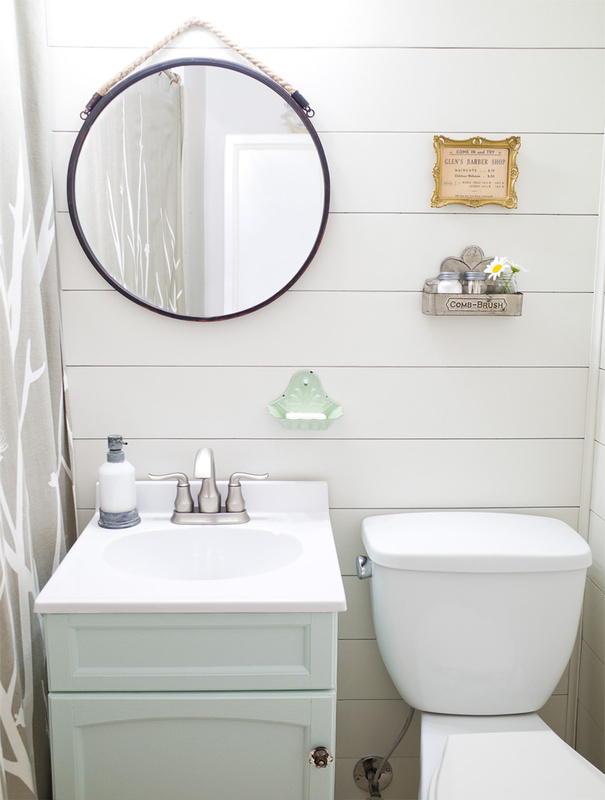 Meg from Hello Farmhouse shared her fabulous farmhouse bathroom makeover. There were quite a few food links that I would have considered featuring this week, but none had links back to the party. Please grab my button if you were featured. Great features tonight. Thanks for hosting Jann! Hi Jann...that was a surprise! Thanks for the feature! Thanks so much for hosting and for a fun week! 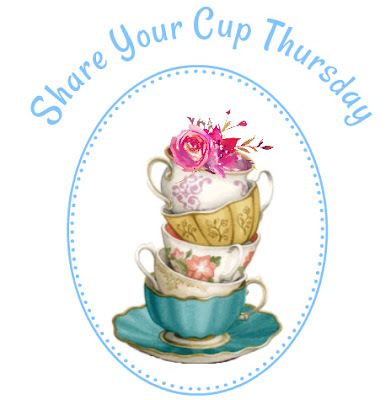 Hi Jann!Thank you for hosting!Great features,especially Ruth's Purple Transferware teacup,so unique and gorgeous!Valentine's Day here in Brazil will be only in June but I'm having a lot of fun joining you.Hugs! Wow, I LOVE your pyrex collection, Jann! How fun is that?! Thanks so much for hosting your fun party! Thanks for the party. I will try to come and link some Valentines! I've pulled out some decorations and that is as far as I've gotten! You said vintage so maybe I'll link my archives and call it vintage! 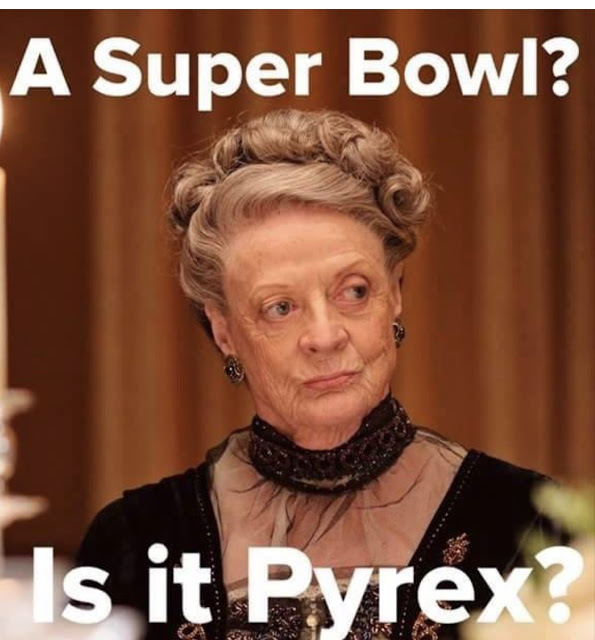 "Is it Pyrex?" 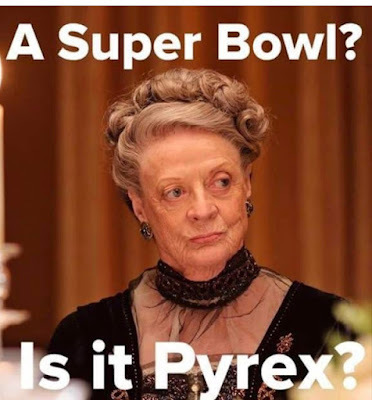 LOL That's how I feel about the Super Bowl, ha! Thank you for hosting, Jann! Have a fabulous day! Thank you Jann for the party! I want to know how to take a bright picture in a bathroom? Anyone out there?? 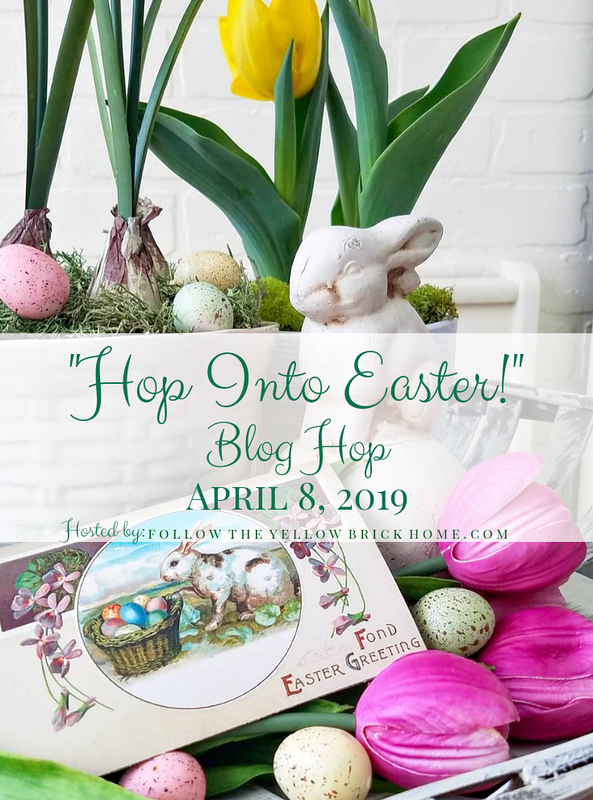 More fun links to explore and get lost in! Looking forward to it and thanks for hosting! Loving the Valentine inspiration! Thanks for hosting, Jann and enjoy the rest of your week. 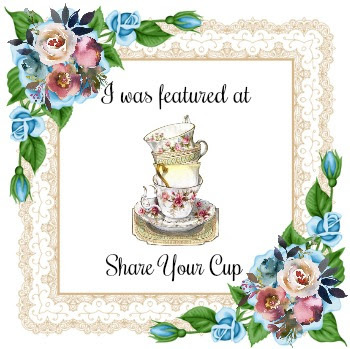 Thank you for the feature and your party each week. You are truly a vintage blogging friend, had to do something with all those dried flowers! Beautiful features by all! 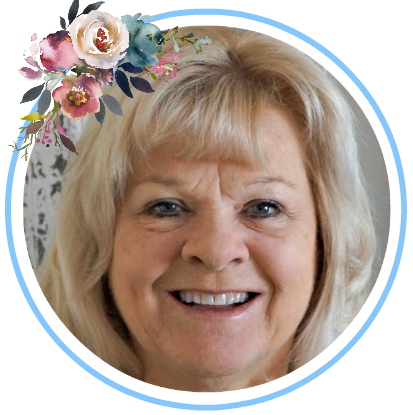 Such lovely features, dearest Jann! That flower cake is amazing! Thanks for hosting. Thanks for hosting the fun Jann and have a nice weekend. Hi Jann! Wishing you lots of warmth and love this Valentine month! Thank you for hosting here and among Amber's blog link party! Love the Pyrex collection. Thanks for hosting and I hope you have a wonderful weekend. Thanks for hosting, Jann. I hope you are well. We can always count on the dowager to get things right. I'm late and there are a ton of posts to look at! Peter Rabbit and Friends. . .
How to be More Efficient at Home. . .
Pom Poms and Roses. . .
Super Bowl? I Hope it's Pyrex! !